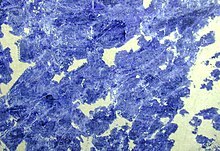 ^ Thomson, T. A chemical analysis of Sodalite, a new mineral from Greenland. Journal of natural Philosophy, Chemistry and the Arts. 1811, 29: 285 – 292.